PRICE REDUCED! New composition roof installed Sept. 2018! 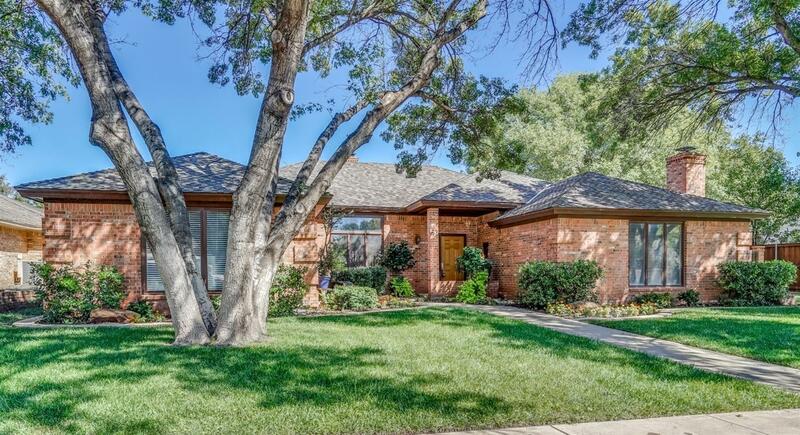 Gracious and inviting 4/3.5/3 located in a well established neighborhood of Kings Gate. This lovely home is so functional in design to accommodate the needs of the new owners. Beautiful living room with soaring ceiling and large den with adjacent wet bar. Kitchen features granite tiled cabinet tops and stainless appliances. Isolated master with spacious bathroom with beamed ceiling and double closets. Second ensuite bedroom. Two bedrooms share hall bathroom. Powder bath as well. Two separate yards both with covered patio space and plenty of room for entertaining and outdoor enjoyment. Present owners replaced fence and added a slate tiled patio. Three car garage with generous room for vehicles and storage. Extra driveway in back for RV, boat or additional vehicle parking. Take a walk down the street to enjoy a walking track, picnic area and playground. Just a short walk to Honey Elem. This home is just too good to miss!